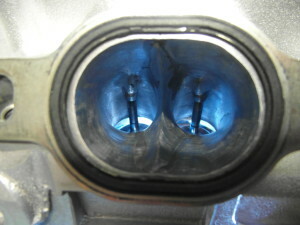 This page covers the inlet port modifications that I performed to the Nissan VG30DET engine. 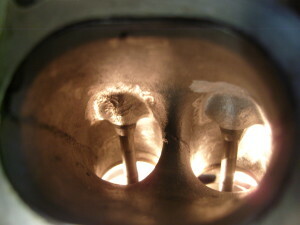 When the VG30DET engine was developed in the late 80’s, Nissan used the inlet port design common for that time. 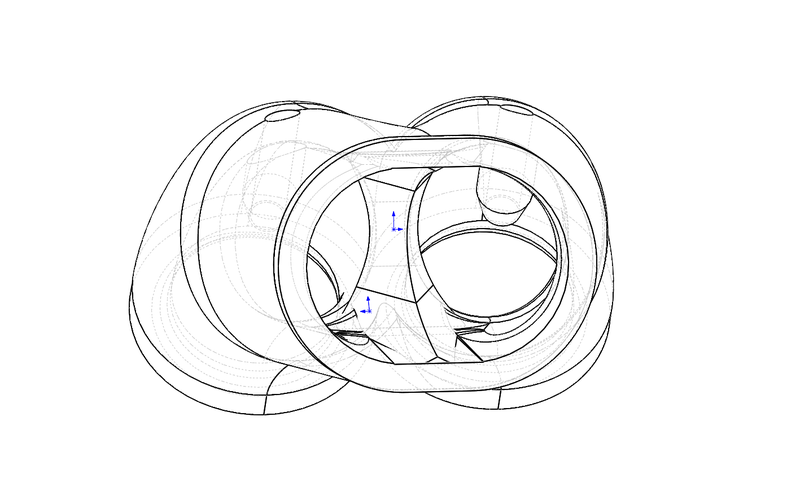 When splitting the airflow from a single port into 1 for each valve, to keep an identical surface area, a gradual long ‘splitter’ should be used starting from where the ports start to disjoin, But as can be seen in the first picture below, Nissan used a short blunt splitter, that causes an uneven airflow velocity and added turbulence. Just in front of the splitter, the surface area is up to 20% larger over other parts of the inlet tract. Reason for this design is to promote better air/fuel mixing at lower rpm’s, a problem partly worsened by the unfavourable location of the fuel injector (described further down this page). At any other rpm than where the mixing is improved, this design will reduce airflow and thus, power output. 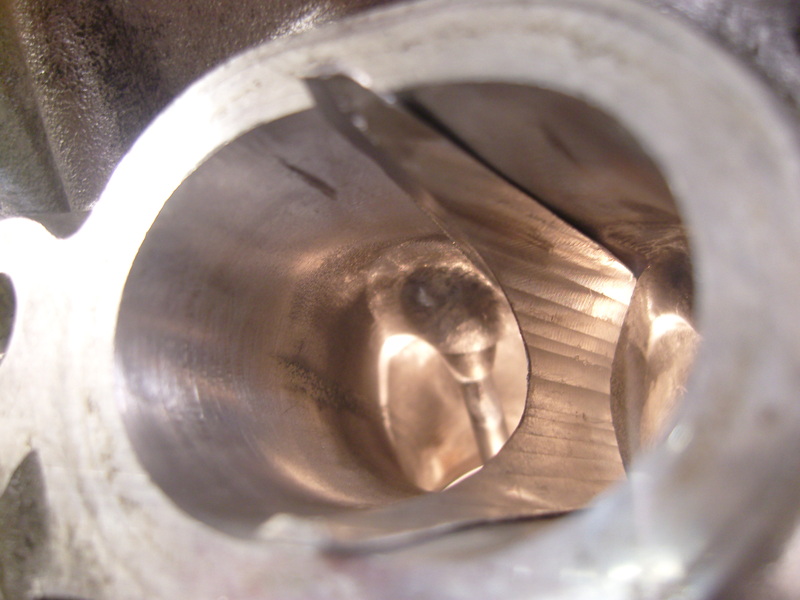 Since this engine is my own and will be built for 2,5 times the factory output, low rpm mixing is less important than performance, I designed an improved inlet tract. 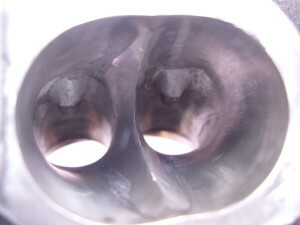 In the cutout picture below, the factory injector position is shown. The injector sits at the right spraying from a large distance to the center of the splitter. The long distance and issue that the fuel is not aimed at the inlet valves, was later corrected with the younger sister of this engine found in the Z32 300ZX, the VG30DETT. 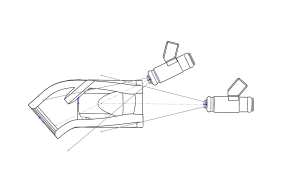 On this newer engine, the injector sits closer to the head and sprays directly at both the splitter and the inlet valves, as can be seen in the form of the upper injector in the drawing. In order to design a proper splitter I had to take into account how the factory inlet ports can be made to fit (the least amount of material should be removed for integrity), and what splitter design can actually be made on my manual milling machine. 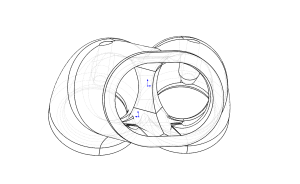 The complex factory inlet tract was measured and drawn up along with the splitter in Solidworks. By performing cross section surface area calculations, I came up with a design as optimised as possible within the limits of my ability to produce the splitter. 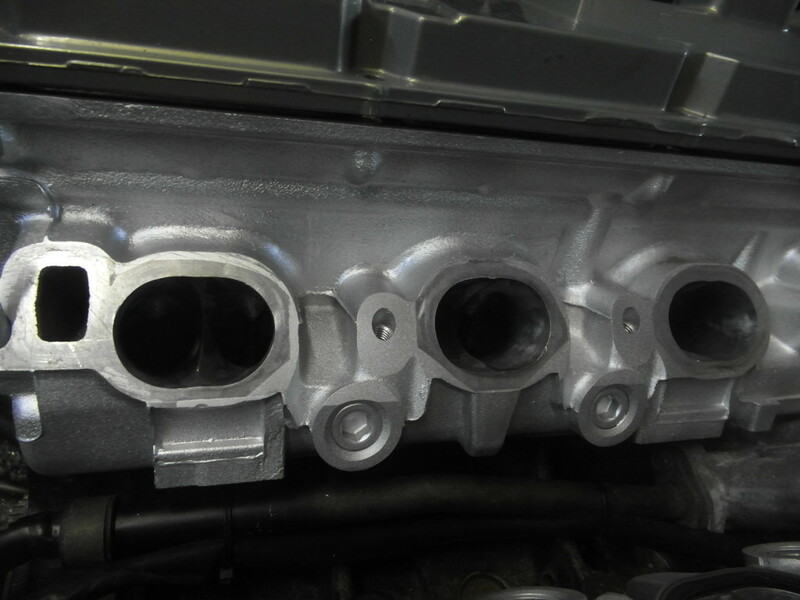 Coming from up to 20% difference in surface area to about 3% will improve the performance of the engine. 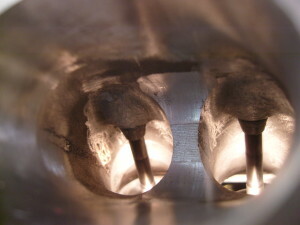 The filling in of the port will not reduce performance as some may suggest, not only as the actual surface area is now more even, but in fact Nissan made a habit of excessive oversizing the inlet ports on it’s turbocharged engines even in the 90’s. The blunt factory splitter was cut just deep enough for a flat surface to press the new splitter up against. Milling the splitter itself was a rather special undertaking of which the process largely determined the design. 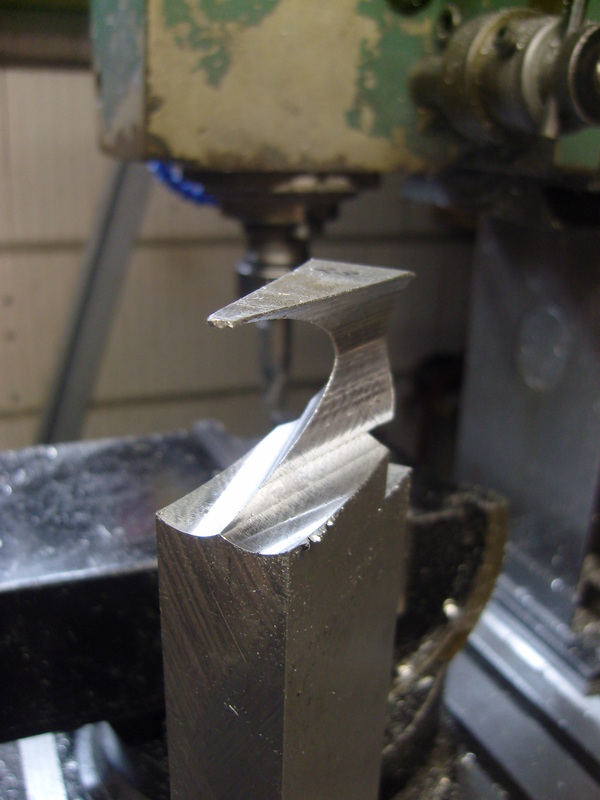 A specific milling sequence is required to avoid chatter, and I went through 2 prototypes before the proper milling sequence was found. 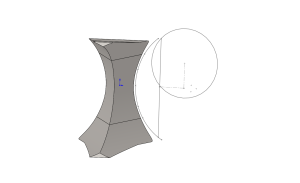 If I had the ability to mill the splitter on a CNC machine, I would have made it slightly thicker at the front section for an even better average cross section area. To compensate, I used additional epoxy in this area. The splitter is ‘welded’ in place with JB weld and finished with a die grinder. JB weld is a reliable, strong epoxy that is even resistant to agressive fuels such as E85. 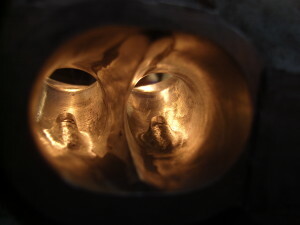 After the splitter is JB welded in place, the ports are finished by hand, a process that takes about an hour per port. 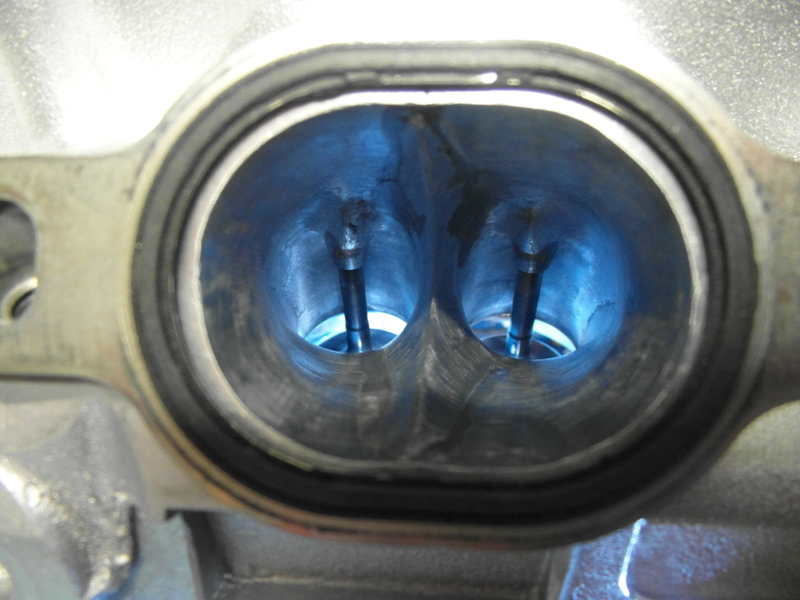 My initial concern was that the heads slightly expands as they heat up, possibly cracking the JB weld. 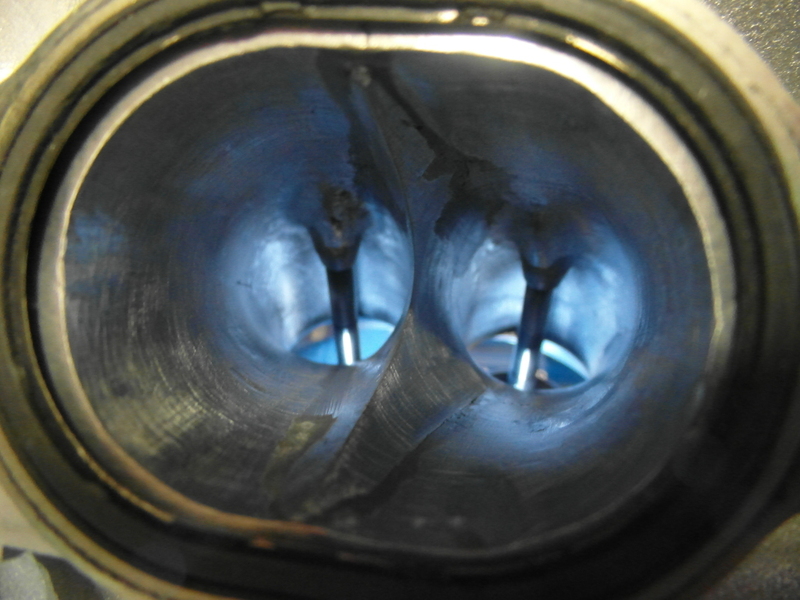 However, as the splitter is still in full contact with the head making direct heat exchange contact (they’re actually pressed into the heads, the JB weld only fills the sides and some small leftover areas) it’s highly unlikely the small amount of expansion will cause cracks. 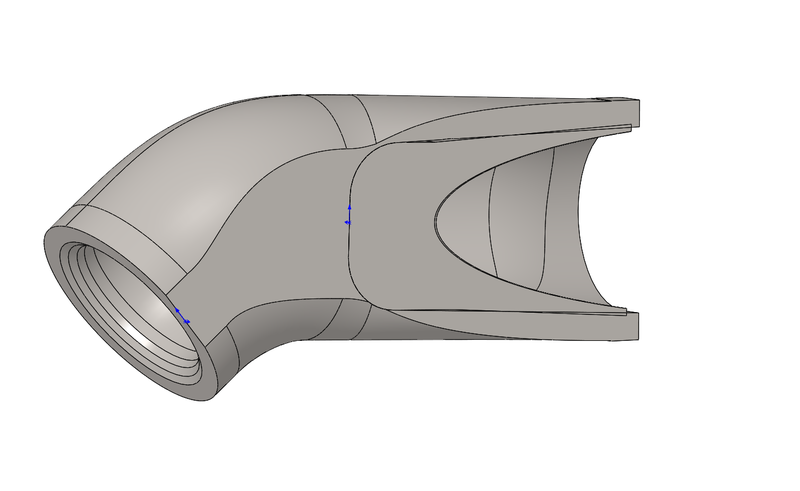 In addition to the splitter, I also ported the hump in front of the valve guide. Many head porters cut the valve guide down to the port wall, but this was not possible considering how deep the guide protrudes the port on this engine. 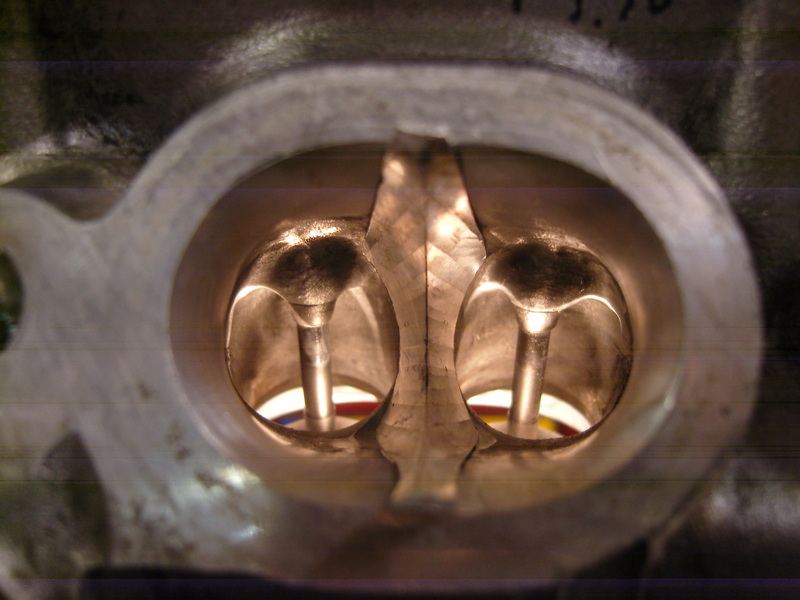 Quite recently, engine tuners building high performance Chevrolet V8 racing engines having the same problem of protruding valve guides, created humps with a sharp splitter in front of the valve guide to lead the air along the guide. I designed the humps in similar fashion. In addition, I sand the walls with course sandpaper to promote a decent boundary layer. 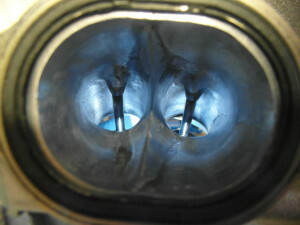 I inspected the new splitters after the engine had run for about 3 hours, including around 10 ‘cold’ starts. They were all well in place. The actual effect on performance is difficult to determine. Realistically, this can only be measured by dyno testing the engine with and without the splitters installed. I would estimate a figure of around 2,5%, increasing a 600hp engine to 615hp. The engine was able to idle very calm despite running agressive cams and enlarged injectors (factory is 270cc, used were 660cc), an improper tune and setup so my biggest worry – a troubled idle – was not the case.